Looking for Christmas card ideas to try? I just love Christmas greeting cards! Actually I love everything about Christmas, period. Like a lot of people, it is my favorite holiday and I look forward to it every single year. For one thing, I get to go home and spend two glorious weeks with my family, so yay! For another, I just love the Christmas spirit in the air! Making Christmas cards has been a must-do for me for many years. I simply love bottling Christmas spirit up and putting it on a card. I believe I made my first Christmas card in grade school for my Mum and Dad. It felt so good to give a handmade Christmas card that I resolved to do it every year. 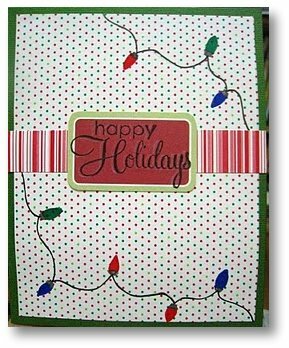 That said, I'm encouraging you to make your own Christmas cards with these easy Christmas card making ideas! Why make your own Christmas cards? 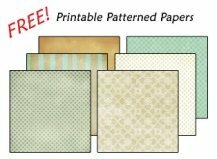 Aside from giving lovingly handmade Christmas greeting cards, another great thing about deciding to make your own Christmas cards is that you get to work with wonderful, cheerful colors like red, green, blue, silver, gold and all the happy colors you can think of! You get to work with glitter too! 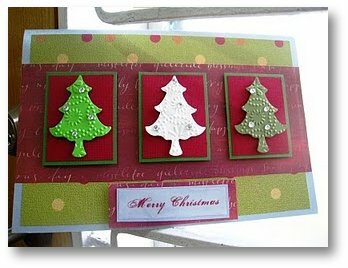 Of course, you can also work with glitter for any card but Christmas cards are definitely the most fun to add glitz to. At least for me. When is a good time to start making Christmas cards? October would be a good starting month to make your own Christmas cards. 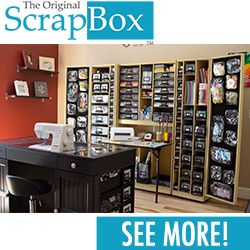 That way, you won't be pressured to finish more than one or two Christmas cards every week. Of course, it all depends on how many you plan on making and if you're delivering them personally or sending your cards out through mail (which will take a wee bit more time). 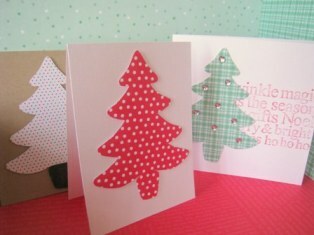 Here are some ideas for Christmas cards which I hope will inspire you to start crafting. Each Christmas card idea is guaranteed to be easy and fun to do! I'll be regularly adding new easy-to-follow cards so please don't forget to subscribe to my free newsletter to be constantly in the loop. If you have any questions regarding any of my cards or even if you just want to say hi, please don't hesitate to contact me directly here. I'll get back to you as soon as I can, which usually takes no more than 48 hours. Please make sure you type in your email address correctly so I can reply. 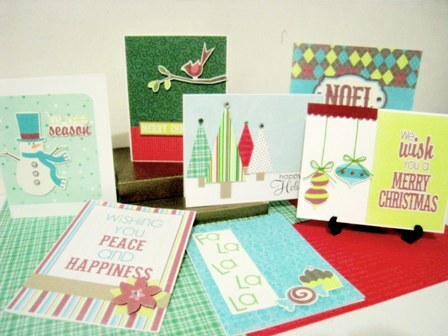 Got some Christmas card making ideas you want to share? I'd love to hear about them too! 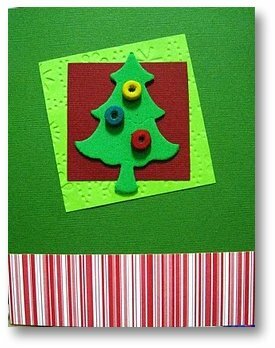 Enjoy making your own Christmas cards and have a happy Christmas! Learn how to surprise your loved one with an accordion Christmas tree card. Like almost everything else, this comes with a detailed tutorial with lots of photos! I had so much fun making these Christmas cards! They're so easy and probably the quickest cards I've ever made. Perfect for a last-minute solution! 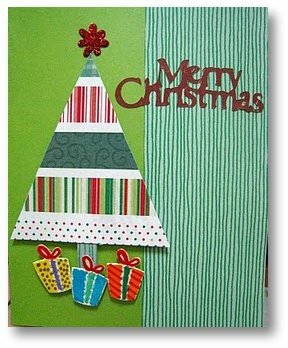 Probably one of the easiest way to make Christmas greeting cards is to use templates. And what's better than a free Christmas Tree template, right? I included some easy-to-do Christmas card ideas using it too! See tutorial for this card! 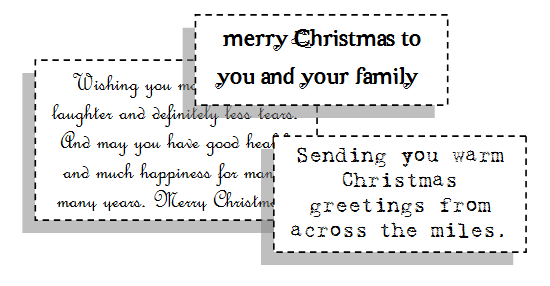 Printable Christmas Labels perfect for your Christmas card envelopes and crafts. 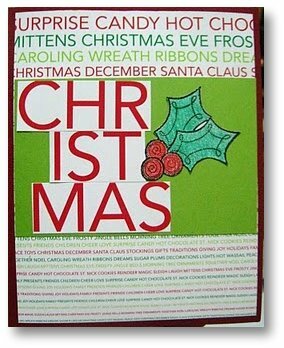 Download these pretty Christmas labels today!